Alcoverro M. Stochastic optimization and interactive machine learning for human motion analysis. Pardàs M, Casas J. Signal Theory and Communications. 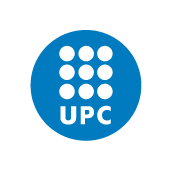 [Barcelona]: UPC; 2014. The analysis of human motion from visual data is a central issue in the computer vision research community as it enables a wide range of applications and it still remains a challenging problem when dealing with unconstrained scenarios and general conditions. Human motion analysis is used in the entertainment industry for movies or videogame production, in medical applications for rehabilitation or biomechanical studies. It is also used for human computer interaction in any kind of environment, and moreover, it is used for big data analysis from social networks such as Youtube or Flickr, to mention some of its use cases. In this thesis we have studied human motion analysis techniques with a focus on its application for smart room environments. That is, we have studied methods that will support the analysis of people behavior in the room, allowing interaction with computers in a natural manner and in general, methods that introduce computers in human activity environments to enable new kind of services but in an unobstrusive mode. The thesis is structured in two parts, where we study the problem of 3D pose estimation from multiple views and the recognition of gestures using range sensors. First, we propose a generic framework for hierarchically layered particle filtering (HPF) specially suited for motion capture tasks. Human motion capture problem generally involve tracking or optimization of high-dimensional state vectors where also one have to deal with multi-modal pdfs. HPF allow to overcome the problem by means of multiple passes through substate space variables. Then, based on the HPF framework, we propose a method to estimate the anthropometry of the subject, which at the end allows to obtain a human body model adjusted to the subject. Moreover, we introduce a new weighting function strategy for approximate partitioning of observations and a method that employs body part detections to improve particle propagation and weight evaluation, both integrated within the HPF framework. The second part of this thesis is centered in the detection of gestures, and we have focused the problem of reducing annotation and training efforts required to train a specific gesture. In order to reduce the efforts required to train a gesture detector, we propose a solution based on online random forests that allows training in real-time, while receiving new data in sequence. The main aspect that makes the solution effective is the method we propose to collect the hard negatives examples while training the forests. The method uses the detector trained up to the current frame to test on that frame, and then collects samples based on the response of the detector such that they will be more relevant for training. In this manner, training is more effective in terms of the number of annotated frames required.